Staff Selection Commission, North-Western Region, Chandigarh (SSCNWR Chandigarh) going to conduct “Investigator Grade-II” in Labour Bureau (Advertisement Vide Cat No. NWR-5 of ADVT. No-SSC/ NWR/ 3-2014) and “Data Entry Operator- DEO Gr-B” in Labour Bureau Advertise Vide. Cat No-NWR of Advt. No-SSC/NWR/34-2013 Recruitment Examination on 23rd July (23/07/2016) in various examination centre/venue. Candidates those who want to download SSCNWR Chandigarh Investigator & Data Entry Operator Job Written Test Admit Card/Call Letter/ Hall Ticket, may click below given direct link. Regional Office, Employees’ State Insurance Corporation (ESIC), Chandigarh (Punjab Region) invites Online Application from interested and eligible candidates for recruitment to the post of “03 Stenographer”, “77 Upper Division Clerk-UDC” and “61 Multi Tasking Staff-MTS’ in Punjab Region on regular basis by direct recruitment. 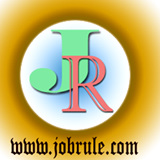 Government Job in Punjab and Chandigarh. To read more details about ESIC Punjab Region 141 Steno, UDC & MTS Jobs and tp apply online, simply go through below given advertisement link (pdf file) and website link. 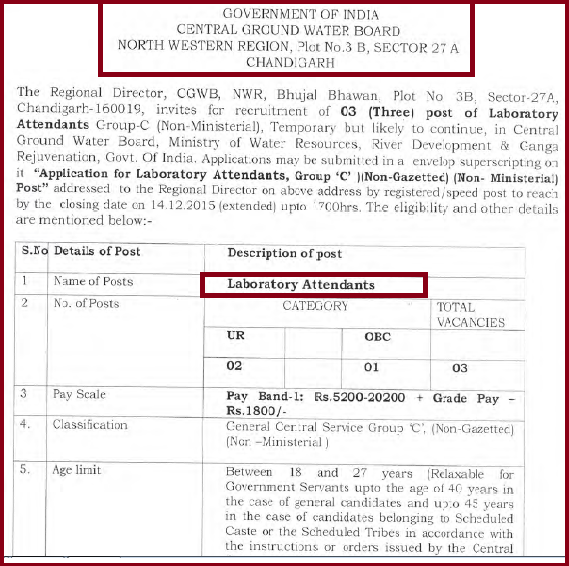 Central Ground Water Board, North Western Region, Chandigarh, invites application in prescribed application format for recruitment to the post of “Lab Attendant” on the pay scale of Rs.5200-20200 with grade pay rs.1800. Office of the District and Session Judge , Faridkot, Punjab, invites application form interested and eligible candidates for recruitment to the post of ‘Peon’ on regular basis. Interested candidates may send application along with two identical passport size photographs with complete bio-data and photocopies of testimonials within 27th November 2015 till 5 P.M . The candidates should have knowledge of Punjabi language upto middle standard. 18 to 37 years relaxable upto five years in case of reserved categories as per Punjab Government Instructions. 6. The post of Reserve category will be offered to the candidates of general category, if no suitable candidates from reserve candidates is found available . Join Indian Army from punjab and Chandigarh. Army Recruiting Office (ARO) Jalandhar/Ludhiana published a Open/Direct Indian Army Soldier Recruitment Rally (Sidhi/Khuli Sena Bharti Rally Ludhiana July 2015) Schedule Advertisement. ARO Ludhiana Dholewal Military Complex Open Army Soldier Selection Rally going to held on 2nd July 2015 to 11th July 2015 as per schedule chart/programme time table. Ludhiana Dholewal Military Complex/Ground Army Rally July 2015 fot recruitment of thousands Army Soldier General Duty-GD, Soldier Technical, Soldier Tradesman, Soldier Nursing Assistant ,Soldier Clerk/Store Keeper Technical (Sol CLK/SKT) etc (All trades) for Ludhiana, Moga , Roopnagar, and SAD-Sahibzada Ajit Singh Nagar (Mohali). Ludhiana Army Rally July 2015. Army Bharti Latest News June/July 2015. 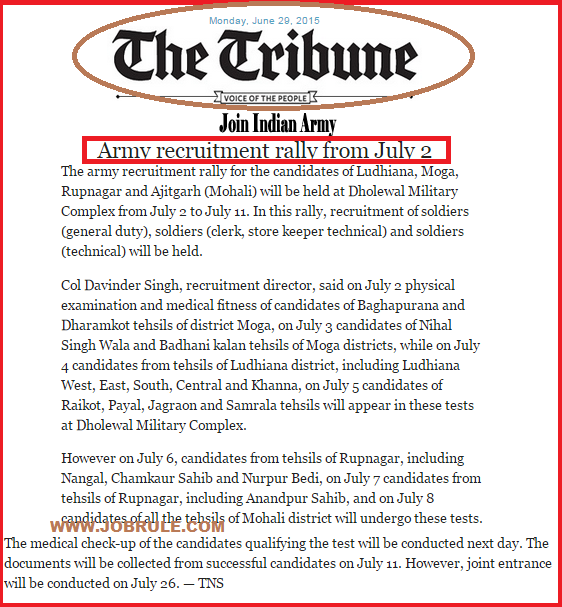 To read more details about Ludhiana Army Rally July 2015, simply check above image advertisement or The Tribune News paper or Indian Army official Website. You can also like our Jobrule Facebook Page or Jobrule Google+ page to get all upcoming army rallies real time notifications.